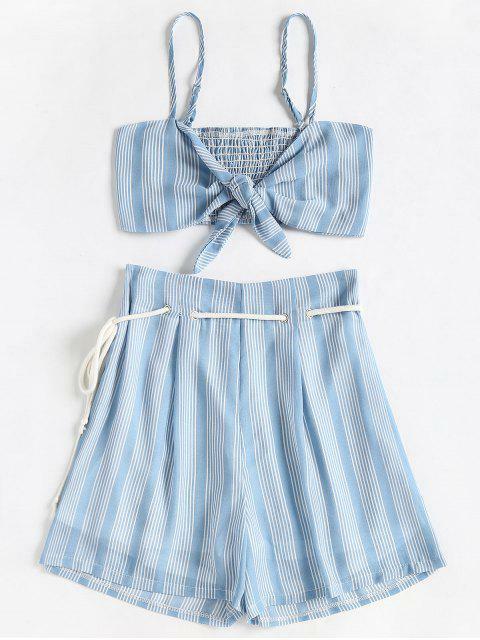 [41% OFF] 2019 Smocked Stripes Top And Belted Shorts Set In COLUMBIA BLUE | ZAFUL ..
Love the two-piece set! 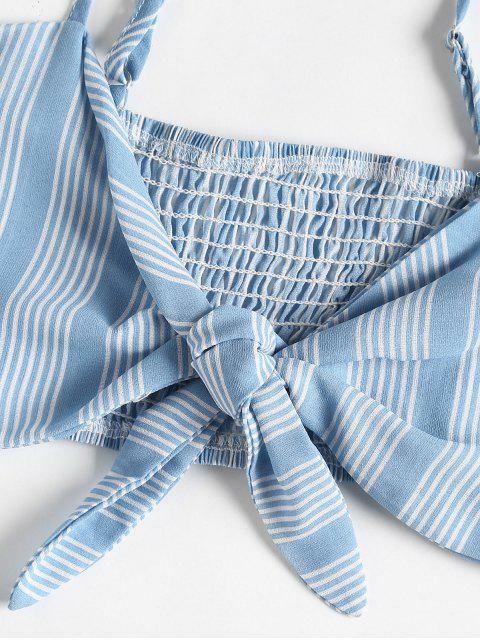 It’s true to size and it’s super cute for the summer! Contrast stripes design brings chic to this set with a cami top and the high waisted shorts. A tie-front design and a smocked back brighten the cami top with adjustable spaghetti straps for an added touch of flirt. The shorts with a matching belt that ties at the waist are fully lined. It is a perfect option for your summer wardrobe.